We talked to other CF parents. 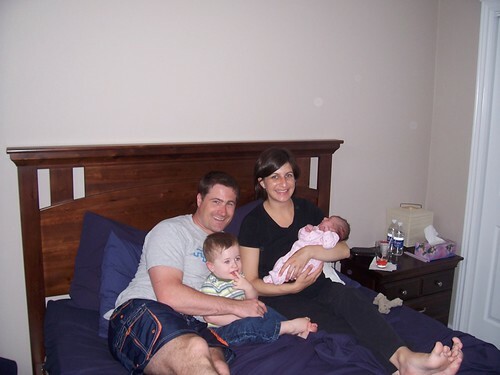 One family we know decided to go ahead with more children despite the risks. 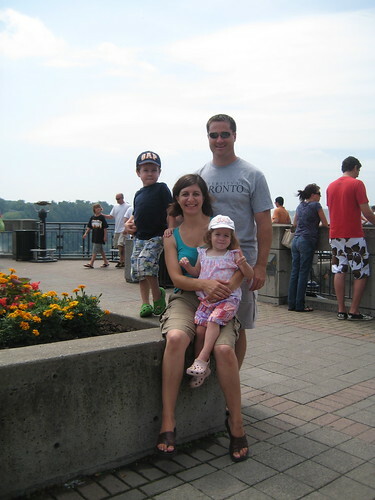 Their next child was born with CF. They were plagued by feelings of guilt, pain and anguish but they, like us with Katie, have been comforted by the tremendous love, support and gifts that children bring. Would you have more children? CFers, how would you feel if you knew your parents made that choice? Any parents out there struggling with this very issue? As a CFer, I would never say life isn’t worth living because of cystic fibrosis. EVERY LIFE is worth it and although it is difficult, it makes you a very strong person and gives the people around you a different take on life. I don’t think it is fair for anyone to have a sick child, but I think it opens up people’s eyes and touches a lot of lives when they do..and I think the world needs that perspective. I face the same issues with having a child myself, although my husband is not a carrier, it means my child will be and the gene will continue on. But does that mean that I should be denied the chance to be a mother? I don’t think so. As long as you can love and care for a child, illness or not shouldn’t be a factor. We are expecting our third child any day now. This is an exciting time for us. And, for a while, it was a difficult time as well. Why? Because the odds are 1 in 4 that this baby will be born with Cystic Fibrosis. Some would consider us reckless or ignorant. Others would call us brave or compassionate. And others may think that we are simply crazy. But I ask… what would you do? 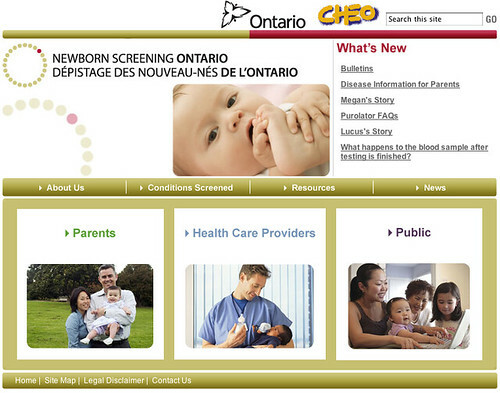 Cystic fibrosis, a genetic disorder, is present from birth. 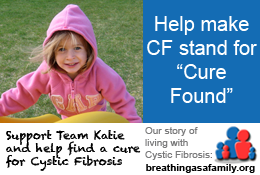 CF occurs when a child inherits two defective copies of the gene responsible for CF, one from each parent. 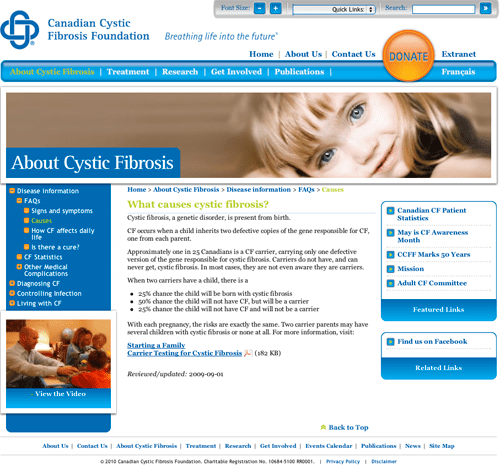 Approximately one in 25 Canadians is a CF carrier, carrying only one defective version of the gene responsible for cystic fibrosis. Carriers do not have, and can never get, cystic fibrosis. In most cases, they are not even aware they are carriers. With each pregnancy, the risks are exactly the same. Two carrier parents may have several children with cystic fibrosis or none at all. Feel free to leave comments. Discussion is encouraged.